Show the Love & Gratitude! 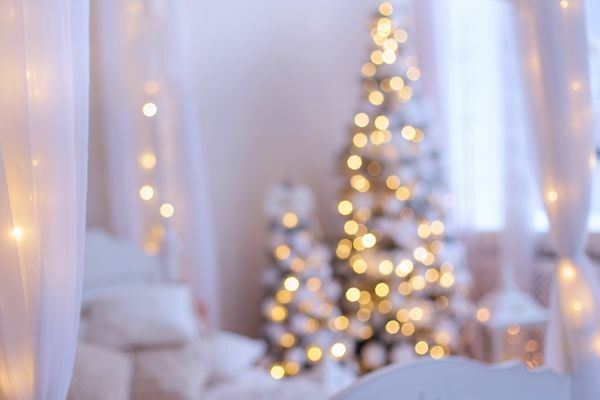 10 Ways to Prepare the Ultimate Guest Bedroom in Time for the Holidays! Navigating planes, trains, and automobiles often makes for a stressful beginning to the Holiday Season. Help your weary travellers find rest and comfort in a guest bedroom designed to take the edge off! Despite retailers loading up shelves with all things Christmas the day after Halloween, Black Friday really marks the official start of the Holiday Season. For many, the Holidays often mean schedules bursting at the seams with events and parties and hours spent in crowded, stressful travel to celebrations with family and friends. It can also mean frantically preparing the house for overnight guests. It doesn’t have to be extravagant or fancy. Here are some simple ideas to help kick the stressful season off right for your guests, easily providing them with a restful space where they comfortably energize for a weekend full of activities, celebration and arguing politics with Uncle Fred. 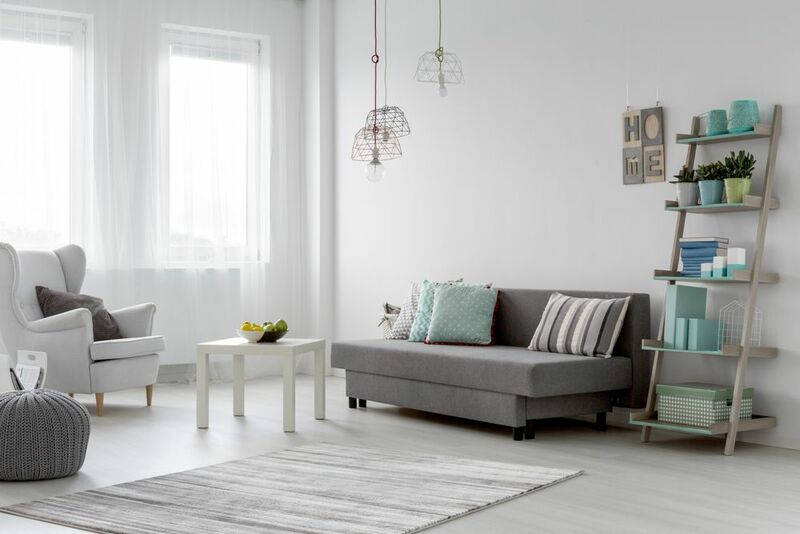 Even if it may be a room that doesn’t get that much use, try to resist the temptation to store your tchotchkes or collectibles or stuffing the closet full of out-of-season clothes. It’s easy, not to mention unpleasant, to feel an afterthought shoved into a room filled to the brim with collections of items that didn’t make the cut in the main part of the house. 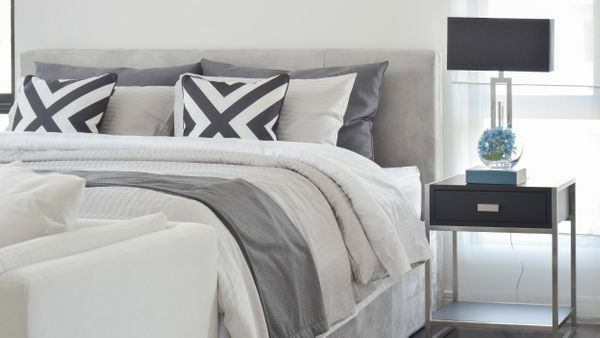 Rule of thumb in any room in your home, but particularly in a guest room: less is more. More space = more welcoming = more comfortable. Not unlike a hotel room, a guest bedroom should invite a sense of spaciousness. So, essentially, remove anything that you wouldn’t find in the room of a nice hotel. Keep surfaces clear, and include only the most useful items in the room, such as a clock and lamps. Given our reliance on smartphones, the most satisfying hotel rooms provide convenient bedside device chargers. 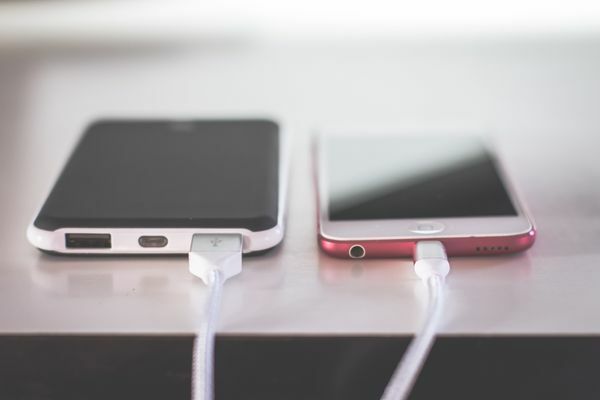 One of the simplest ways to help make a guest room feel comfortable is to provide a convenient way to charge devices or plug in a laptop. 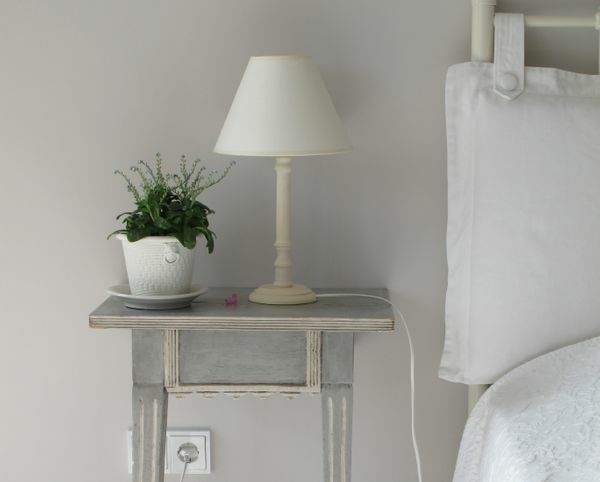 Spare your guests the chore of moving your furniture in search a power outlet, and opt for a bedside lamp or alarm clock equipped with USB chargers. Easier and less expensive still, simply provide a power strip that’s easy to access from either side of the bed. Another easy idea that makes life for your guests just that much more comfortable: clear a space to put a luggage rack or a small bench to set down a suitcase. 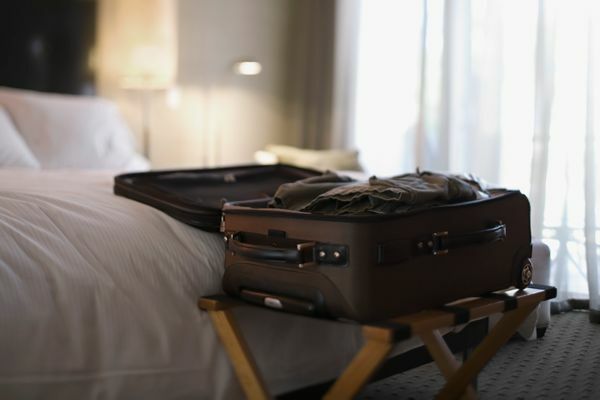 It’s uncomfortable to have to stoop over a suitcase on the floor to get dressed in the morning or grab a pair of clean underwear. Even a chair is better than nothing. Talk about bang for your buck to welcome guests! Fresh flowers are a beautiful and thoughtful way to add a homey touch and make your guests feel special. A bouquet of fresh flowers – or simply one beautiful bloom, such as a rose, lily, or peony – shows you’ve put time and effort into welcoming your guests. It should go without saying that, of course, the bedding should be clean! But, there’s nothing like the feeling of fresh, high quality sheets and pillowcases. Linens can easily enhance the experience of your guests. 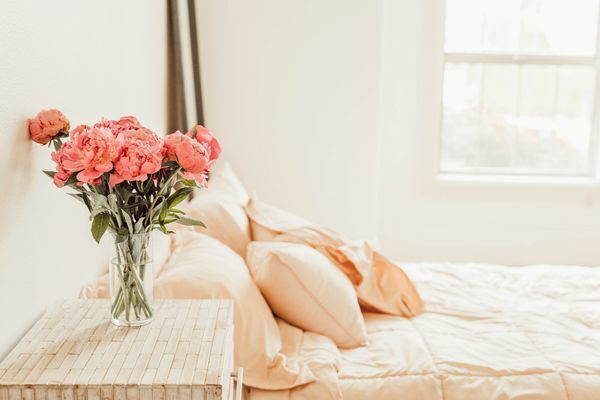 As with a fine B n’ B, try including a choice of pillows and freshly ironed pillow cases; perhaps a featherbed mattress topper; a cozy down comforter or antique quilt; and, super important: extra blankets! 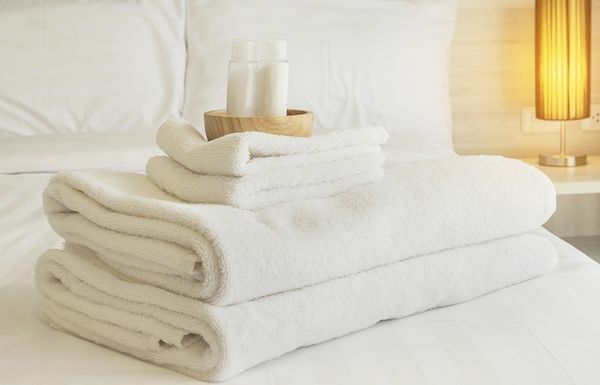 Be sure to include bath linens in the guest bedroom to ensure your guests have all the essentials they need for a comfortable stay in your home. You can provide freshly filled containers of the hygiene basics. Or, tap into the ever-growing supply of hotel toiletries that we all seem to collect and provide the must-haves (shampoo, conditioner, mouthwash) in a basket or pretty bowl. On a related note: Accidents do happen! Providing spares is always helpful in the event of the unexpected. So, don’t forget to have an extra set of bed and bath linens readily available for your guests. Also, you may be fortunate enough to have one of those wonderful guests who insist on changing the sheets as they leave. If the extra sets are available this allows them to show their own gratitude to you, their hosts, and change out the bedding. Needing a drink of water in the dark of night in a strange home can be uncomfortable and disorienting, impeding a good night’s sleep. Guests may get thirsty and don’t always feel comfortable creeping around the house in the night for a drink. 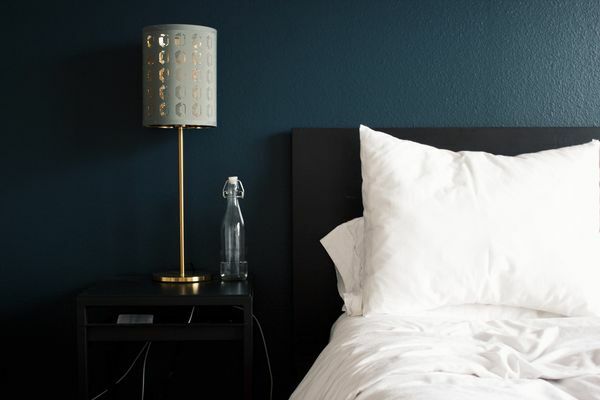 Place a water carafe and glasses – or several unopened water bottles – on the nightstand or dresser for easy access to refreshment late at night. Providing lighting that is not only adequate but that is easily accessible is an important addition to your guest bedroom. Relying simply on the overhead ceiling light might seem enough, but requires a sleepy guest to get up from being cozy to turn it on and off as needed. Be sure to have a light with control near the bed, so your guest won’t have to stumble around in the dark, just to turn on the light. It also provides convenient light to read by. Don’t forget a small night light for nighttime trips to the loo! Getting a good night’s sleep on a saggy, lumpy mattress is hard to do and is sure to make anyone cranky, your guest being no exception. If you can afford it, a high quality mattress is essential to the comfort and well-being of your guests. If a quality new or used is out of the question financially consider a quality air mattress. They can be quite comfortable and can transform an office or family room into a guest room quickly and easily. 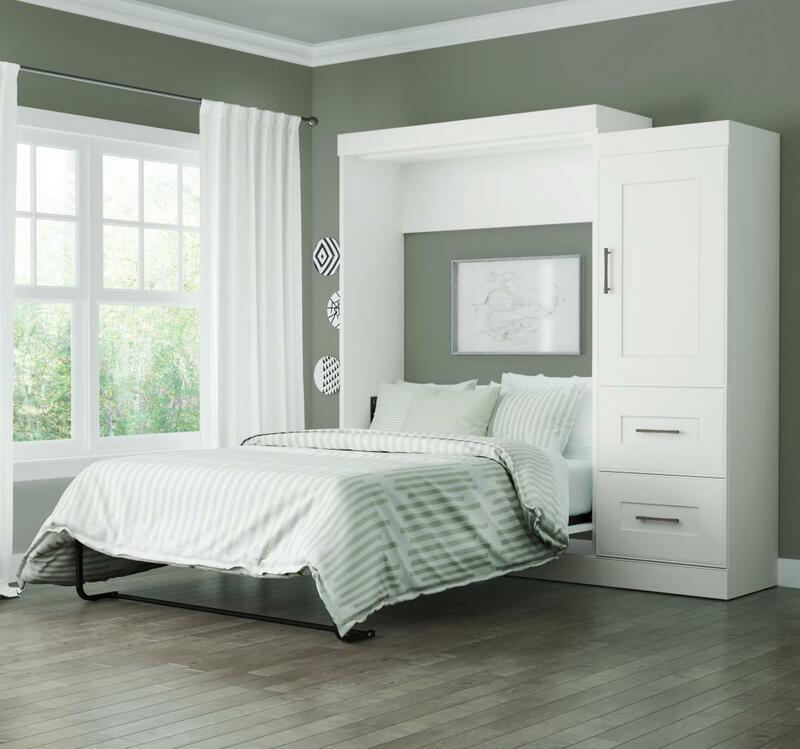 Another easy and transformative option when space is at a premium, is an attractive and incredibly convenient wall bed. Office or living space by day, bedroom by night, your guests will enjoy a wonderful sleep while easily transforming the room back in the morning. Let your guests unpack a little! 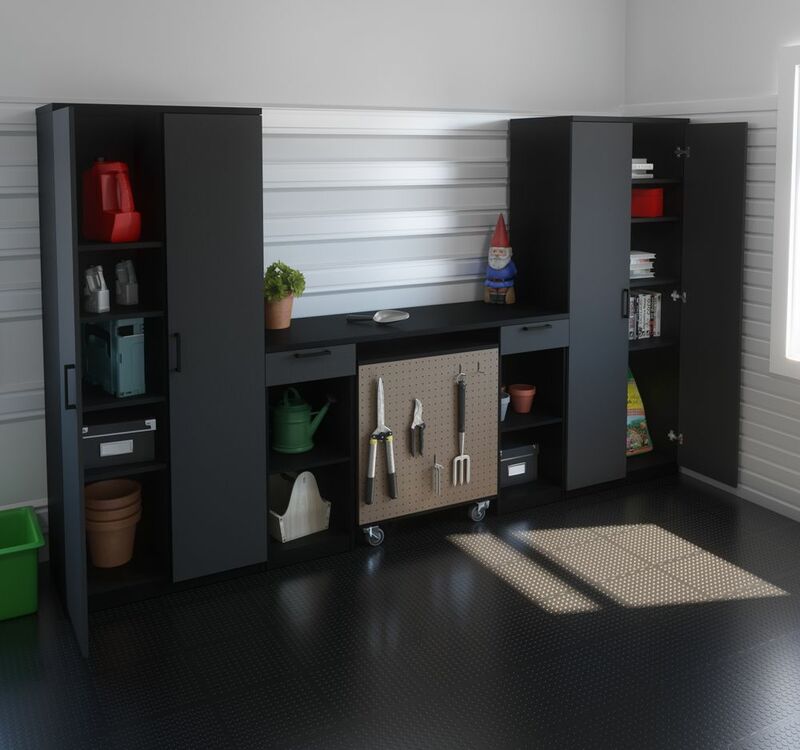 This is particularly helpful if you’re converting another room (i.e. office) into a temporary guest bedroom. 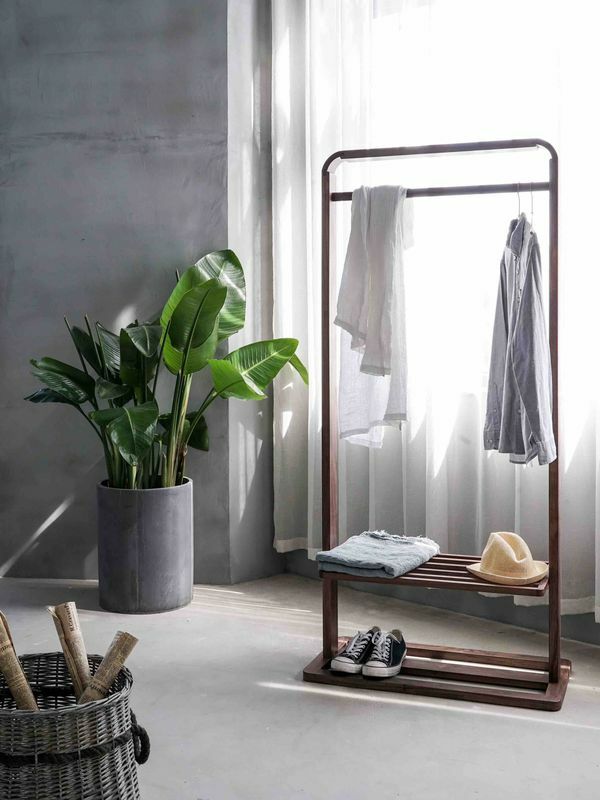 Clear a little space and provide some easy space-saving, hanging clothes storage. If space is an issue you can also purchase an inexpensive over-the-door hook or hook set accommodates hanging clothes. Don’t forget to supply a few hangers! Use a few of the hints or just one! Incorporating even a couple of these ideas will help make your guests feel more appreciated, special, and loved during their visit to your home this Holiday, or any time for that matter.